The Tropitone® Veer Collection offers a contemporary seating alternative with modern comfort. The silhouette of the collection "veer" boldly forward in a modernistic way, showcasing sleek lines on an aluminum frame. 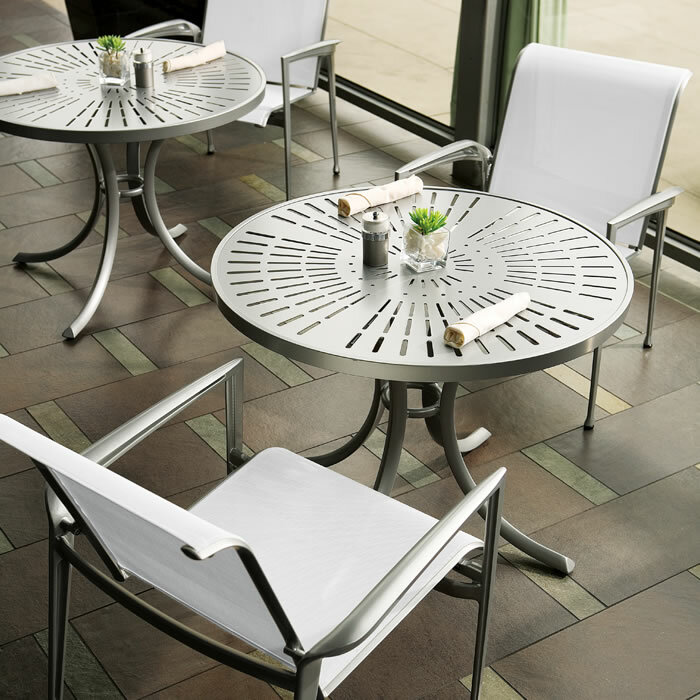 Created by noted designer John Caldwell, the Tropitone® Veer Sling Collection features a single layer of vinyl-coated polyester fabric slung taut across the seat and back frame creating modern, progressive outdoor dining chairs, barstools, and chaise lounges for a chic setting.